This month we look at an interesting topic… “The Man-Cave”. 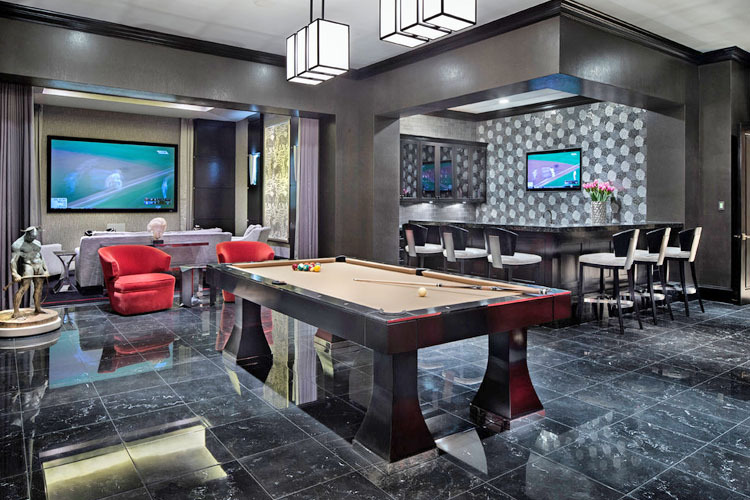 We asked our clients the question, “Do you think a grown man should have a Man Cave?’’ And the responses were very entertaining. So what is a Man-Cave? It’s a room or space designed according to the taste of the man of the house and is to be used as his personal area for hobbies, leisure activities, to relieve stress and to have some “boy’s time”. Believe it or not, there are some health benefits to be obtained from the use of a man-cave, In fact, one man by the name of John Bryant, prized himself as the “man cave counselor”, helping men around the globe carve out a space to call their own, and educating them about the rooms mental health benefits. In fact, these manly retreats could actually improve a marriage. If you want a husband who is willing to listen; one who is happy and stress-free, then maybe you should indulge him with his own man cave get-away. Something to ponder ladies!! So guys are you doing your happy dance right now because you FINALLY have something to show your wife that proves you MUST have a man- cave for the sake of your marriage and health—not to mention all the storage and entertainment possibilities? Phone us at Inside Out Interiors, where we can help you to create the ultimate MAN-CAVE of your dreams!